The lawyers of Worth, Longworth & London, LLP are responsible for representing NYPD officers sued civilly for alleged deprivation of civil rights in connection with the performance of their duties. In matters where an officer's employer, The City of New York, declines to represent and indemnify, the firm provides to the officer comprehensive representation from inception of the law suit through trial. For over ten years, Worth, Longworth & London, LLP has had an exceptional record in protecting our clients and their families from personal financial exposure and loss. Here is a sampling of some noteworthy results. Mineo v. City of New York, et al. The firm represented three NYPD officers in this well-publicized case alleging excessive force, false arrest, denial of medical treatment and malicious abuse of process. Despite medical and forensic evidence to the contrary, plaintiff alleged that he was anally sodomized by a police baton in the Prospect Park subway station. Plaintiff's scheme to defraud in initiating the lawsuit was firmly established at trial. Jury verdict exonerated two officers completely and exonerated third officer of all allegations but one, resulting in a hung jury on that count. Court issued an Order recommending the United States Attorney investigate issue of evidence tampering by "plaintiff or persons acting on plaintiff's behalf." 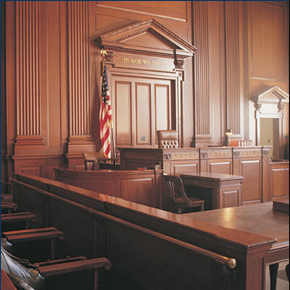 Court awarded attorneys fees, costs and expenses to officers as "prevailing parties" against plaintiff. Trial attorneys: Mitchell Garber & Gregory M. Longworth. Wong v. Yoo, et al. The firm represented two NYPD officers being sued for false arrest, malicious prosecution and denial of medical treatment. The firm's clients, partners, responded to a radio call of an assault in progress and arrested plaintiff for assault and criminal possession of a weapon after conducting an investigation at the scene. It was established at trial that both officers followed NYPD procedures to the letter, calling for a patrol supervisor and offering plaintiff medical treatment at the scene. Jury verdict exonerated both officers of all allegations against them. Trial attorneys: Mitchell Garber & Gregory M. Longworth. The firm represented two veteran NYPD officers accused of false arrest and violating the First Amendment rights of plaintiffs. One of the plaintiffs had screamed an obscenity at the officers as they drove through an intersection while on patrol. When the officers stopped to investigate, plaintiffs provoked and escalated the incident by nearly inciting a riot on the street. As argued at trial, the incident was staged by plaintiffs from the very beginning. Jury verdict exonerated both officers of all allegations against them. Trial attorneys: Mitchell Garber & Gregory M. Longworth. The firm represented a veteran NYPD officer who was assaulted while off-duty, necessitating an offduty arrest. Thereafter, the officer was sued civilly for false arrest and malicious prosecution. Despite NYPD's line-of-duty designation and his the officer's full compliance with departmental procedures for off-duty encounters and arrests, the City of New York refused to represent or indemnify the officer, At trial, based on our firm's submission, the judge gave the jury an innovative and expansive charge defining probable cause for arrest. So long as there is probable cause to arrest for any crime or violation, irrespective of the arrest charge. The jury deliberated approximately five hours before returning a verdict completely vindicating the officer. Trial attorneys: Mitchell Garber & Gregory M. Longworth. Worth, Longworth & London, LLP filed an Amicus Curiae brief on behalf of our client, the New York City Patrolmen's Benevolent Association, in support of New York State law denying incarcerated felons the right to vote. Our brief argued that since incarcerated felons had denied their victims the right to live, the right to love, the right to raise a family and the right to vote, society has the obligation as part of the felon's punishment to take away the right to participate in the process of selecting those who make the laws we are governed by. The Second Circuit upheld felon disenfranchisement holding that federal law was not applicable it would "alter the constitutional balance between the states and the federal government." Attorneys for Amicus Curiae: Mitchell Garber & Gregory M. Longworth. Pena & Herrera v. City, et al. Worth, Longworth & London, LLP represented numerous off-duty police officers in a civil rights law suit brought by Plaintiffs, alleging that the officers' failure to prevent a person from driving while intoxicated made them liable as a state-created danger under federal law. The firm moved to dismiss the claims, arguing that the officers were entitled to qualified immunity. The Second Circuit agreed, holding that the individual officers could not be held individually liable because the obligation to intervene was not clearly established at the time of the event in question. Attorneys: Gregory M. Longworth & John W. Burns. Worth, Longworth & London, LLP obtained a dismissal of a multi-million dollar civil rights claim against a former police officer, sued in his individual capacity. The'officer had discharged his firearm during the execution of a search warrant, causing death to decedent: Attorney: Mitchell Garber. Worth, Longworth & London, LLP, with the full-backing of the NYC PBA, used the amended "Son of Sam" law to represent, on a pro-bono basis, Vivian Scarangella, the widow of slain NYPD Officer John Scarangella and his partner, retired Police Officer Richard Rainey, against Anthony LaBorde a/k/a Abdul Majid. LaBorde, a Black Liberation Army terrorist and assassin, who was convicted of the murder of Officer Scarangella and the attempted murder of Officer Rainey in 1986. While in prison, LaBorde successfully brought a lawsuit against the NYS Department of Correctional Services and was awarded $15,000. Unknown to him at the time, however, this settlement constituted "funds of a convicted person" under the amended "Son of Sam" law, which triggered notification to the Crime Victim Board, who in turn, notified the surviving relatives and victim of LaBorde. In this case the question of liability had already been decided against LaBorde due to the criminal convictions. Twenty-Five years to the date of Officer Scarangella's paSSing, on May 1, 2006, the trial commenced before Justice Thomas Dolan in Dutchess County Supreme Court on the issue of damages .. At trial, it was proven that Officer Rainey lost over 13 million dollars in damages. It was likewise determined that Officer Scarangella's family suffered over 3 million dollars in losses. Officer Scarangella, moreover, left behind a wife and four children (two daughters and two sons). Officer Rainey lost the ability to perform the job he loved so much, the job he had hoped he would continue to perform for many more years. There were medical and funeral expenses. There was extensive pain and suffering experienced by both parties. Of course, no amount of money can begin to compensate them for their losses. Nevertheless, the jury was requested by their verdict to send a message not only to LaBorde but to all criminals --- to hit them where it hurt. This sentiment was echoed by an emotional jury following the civil trial, the first such jury trial conducted under the Son of Sam Law. Although they rendered a verdict in excess of $42 million dollars, the jurors were disappointed that they could not award further money to the Scarangella family. The jury foreperson remarked, subsequent to the trial that, "we just wish the law had allowed us to award punitive damages to the (Scarangella family)." Upon entry of the judgment, the funds that had been seized from Laborde were remitted to Mrs. Scarangella and Officer Rainey. The firm continues to monitori the amount of funds in his account and if they ever build up over the amount of $50, the minimum amount that we are allowed to seize, we will go back to court and seize the funds. Trial Attorneys: Gregory M. Longworth & John W. Burns. New York State Parole Board Proceedings. Worth, Longworth & London, LLP has aggressively assisted the NYC PBA in its never ending battle to insure that cop killers and attackers are kept behind bars for the maximum period allowed by law. In this capacity, the law firm has been instrumental in coordinating efforts relating to Parole Board proceedings and has assisted the NYC PBA and surviving family members in drafting and filing Victim Impact Statements, letters and petitions to insure that their voices are heard in opposing any attempt to release these violent predators from prison. Law enforcement officers can rely upon the support and expertise of the experienced legal counsel of Worth, Longworth & London, LLP when facing a civil lawsuit in connection with police work. Contact Worth, Longworth & London, LLP online or call the Manhattan office at (212) 964-8038 or the Long Island office at (516) 621-0007.